Cat’s Cradle – Stainless steel post and cable. Photo by Aaron Rothman. 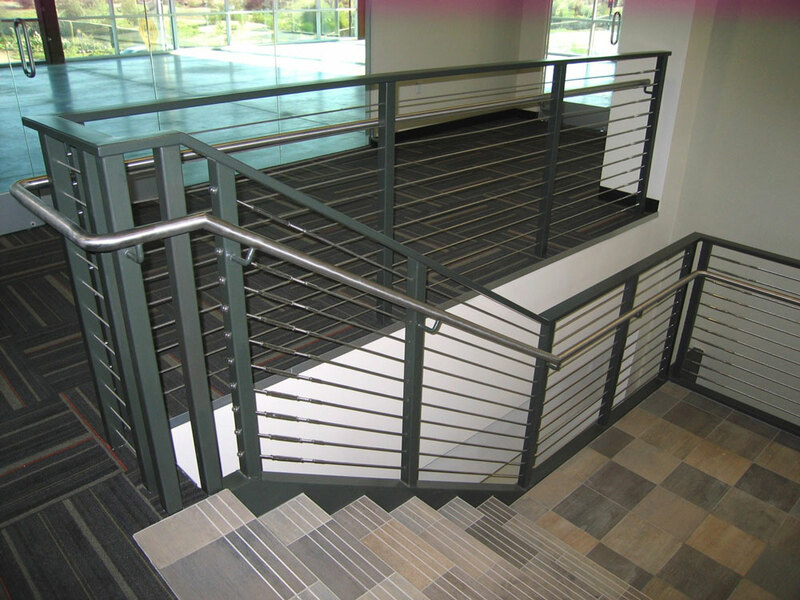 Southland – Stainless steel cables and handrail with painted steel post. 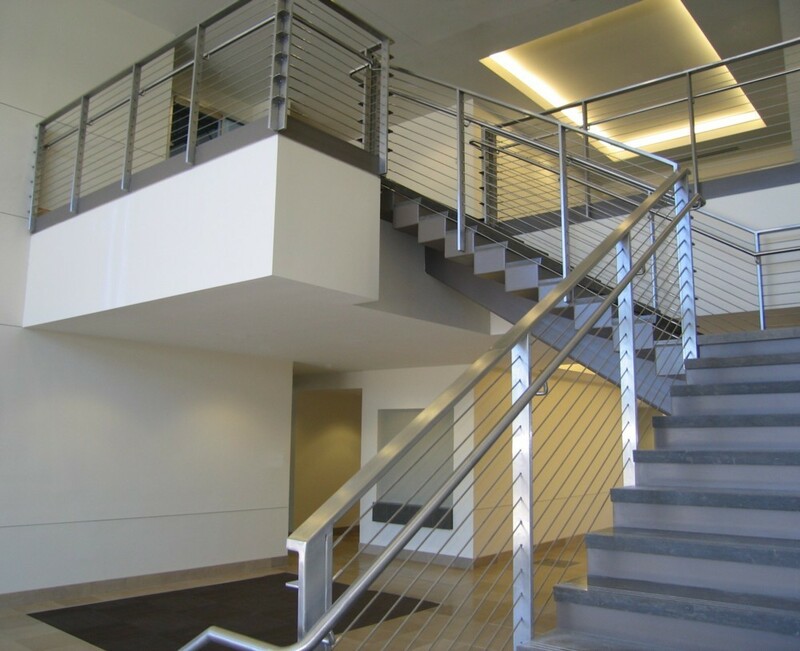 Wire Masters – Stainless steel post, cable and handrail. 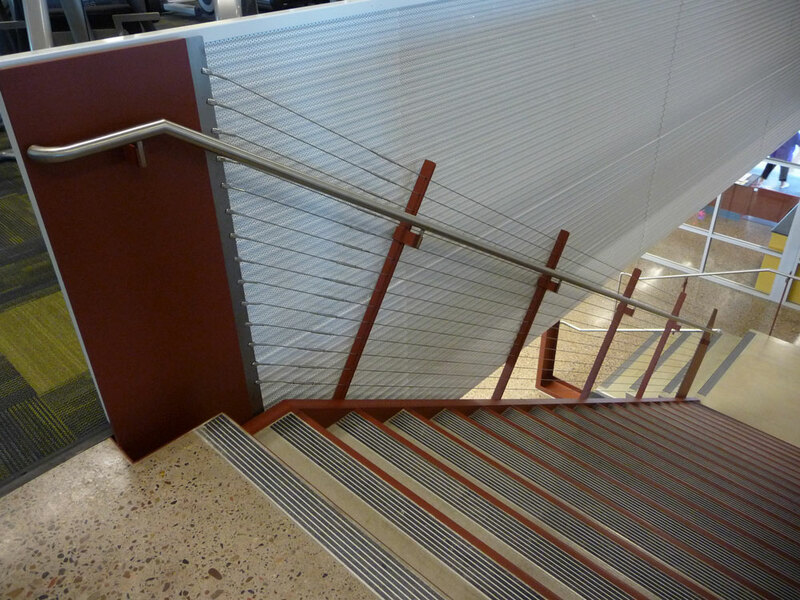 Prescott Valley Library – Stainless steel cable and handrail on painted steel post. 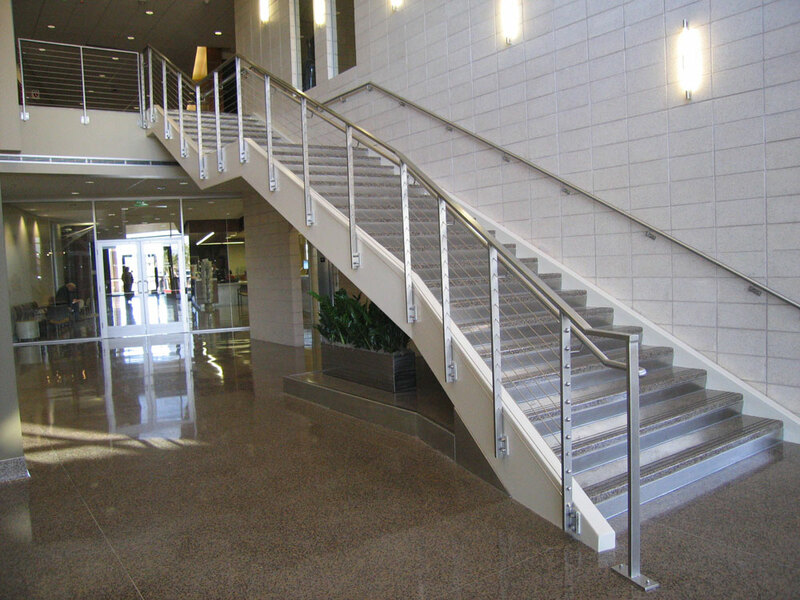 Westgate – Stainless steel cables with aluminum post and cap rail. 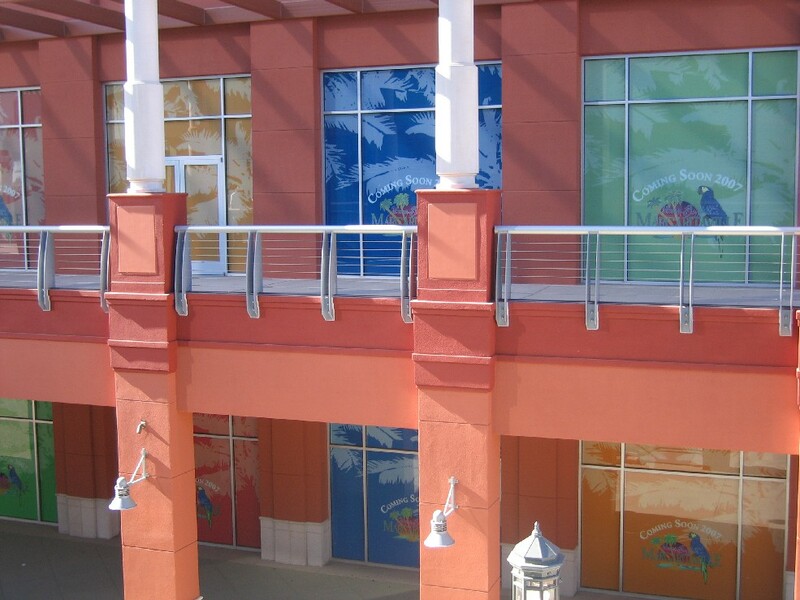 Peoria Development Bldg. 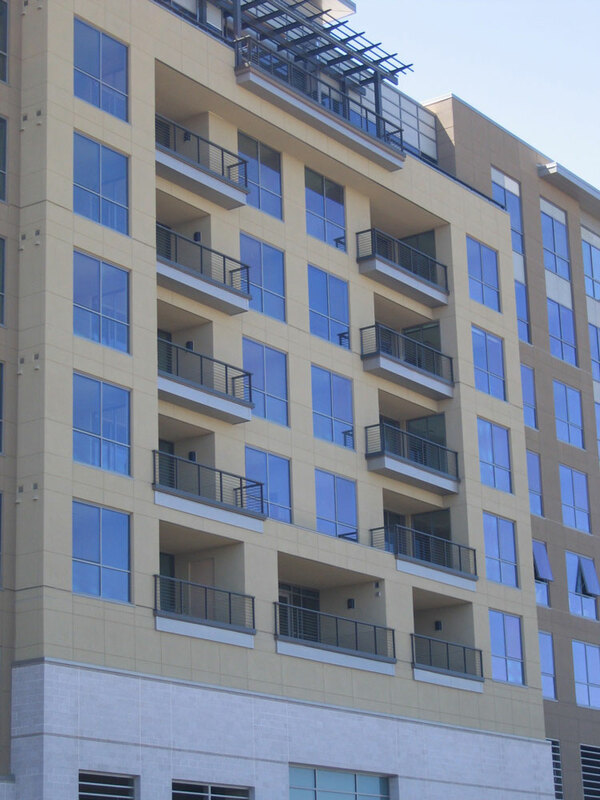 – Stainless steel cables and post. 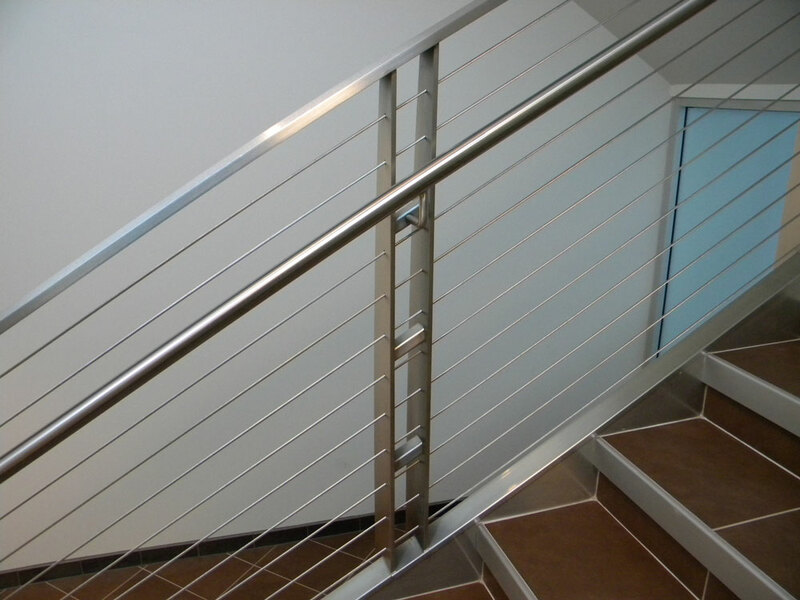 Private residence – Stainless steel cable with painted steel post. 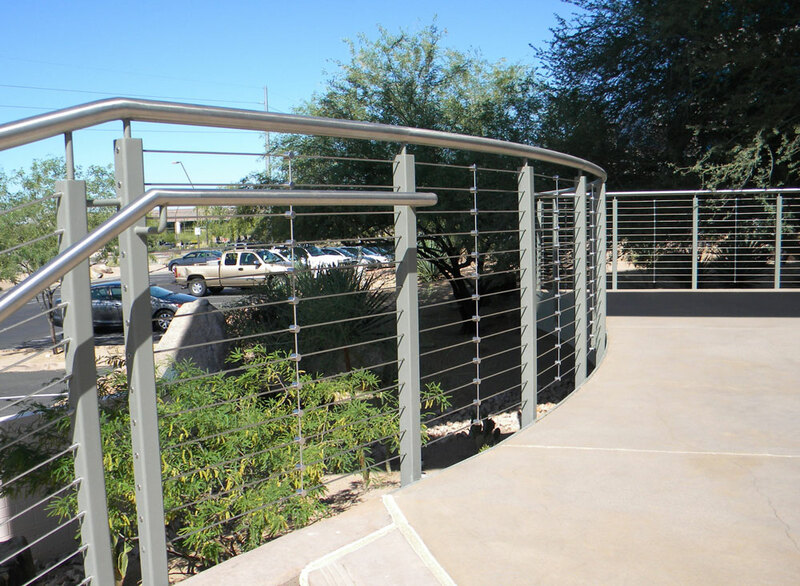 Ironwood Cancer – Stainless steel cable and post. 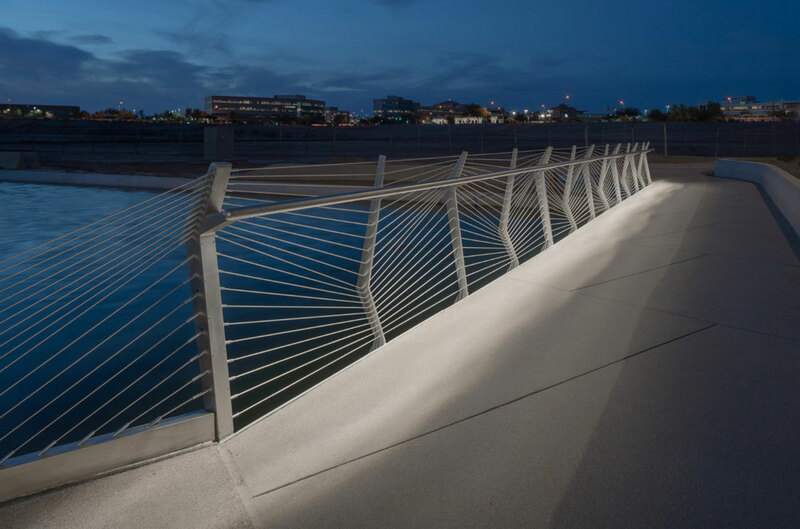 Talavi – Stainless steel cables and post. 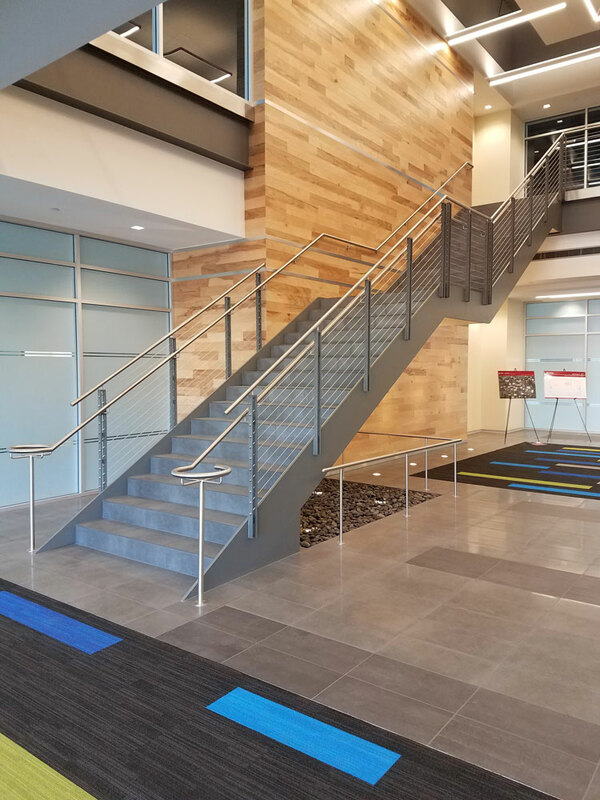 Irgens – Stainless steel cable and handrail on painted steel post. 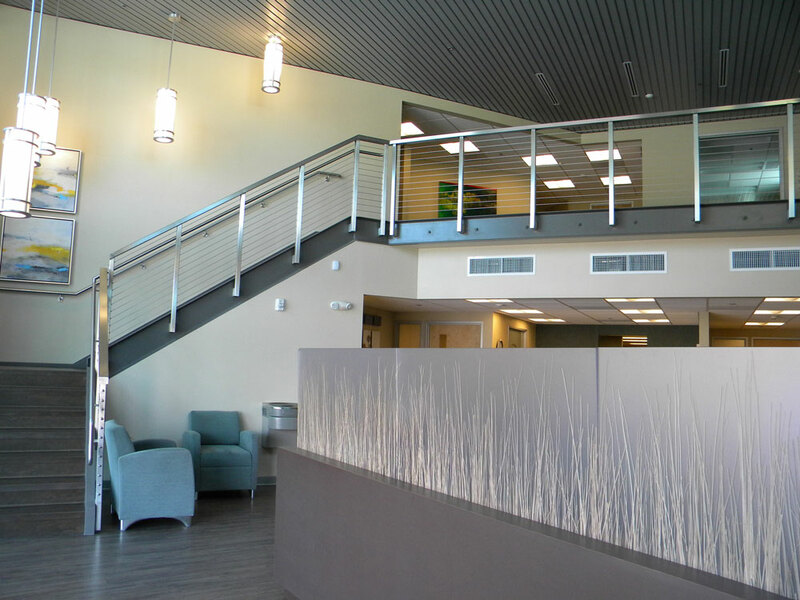 East Valley YMCA – stainless steel cable on painted steel post. 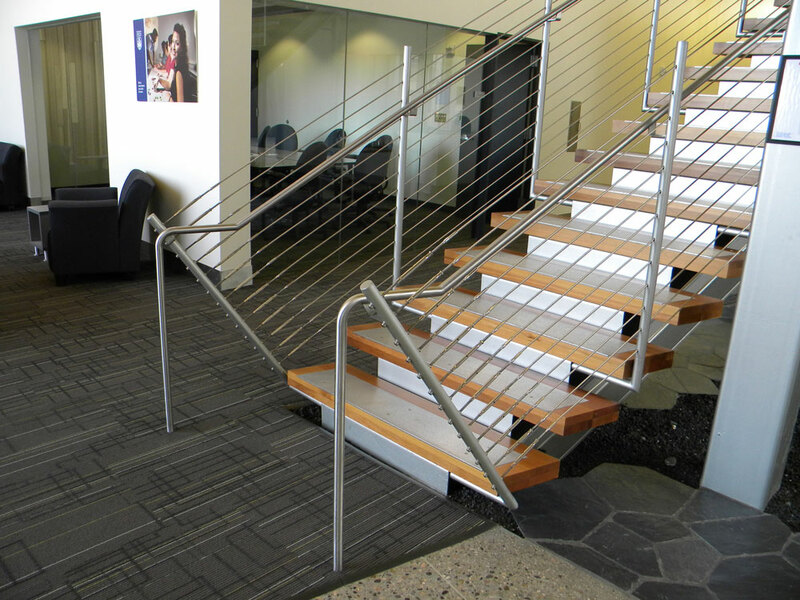 Swift Aviation – stainless steel cable and post. 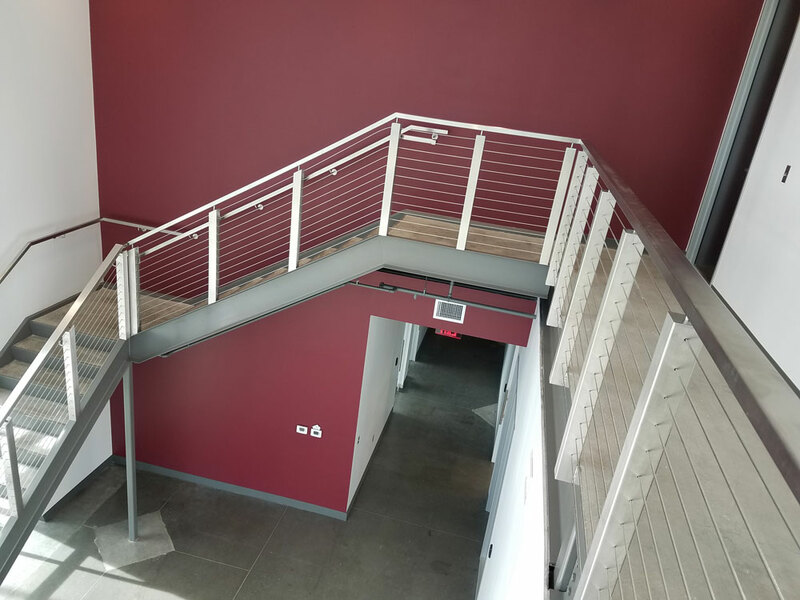 Cotten Center – stainless steel cable and post. 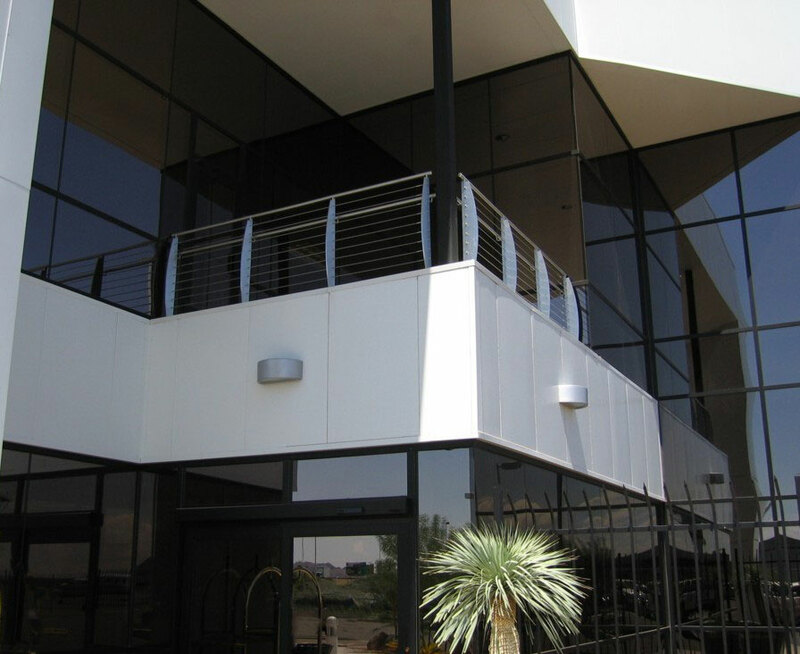 Tower Loft at Kierland – painted steel guardrail. 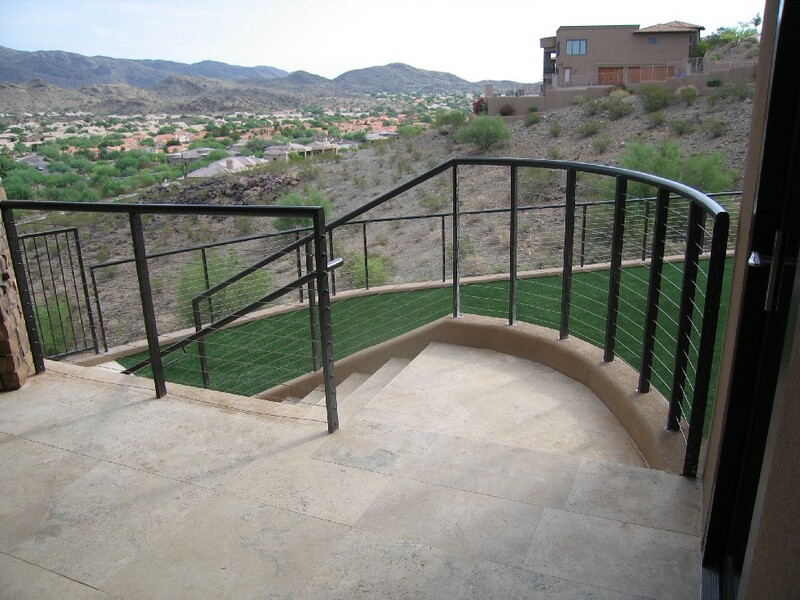 Dared 89 – stainless steel cable and handrail on painted steel post. Copyright Modern Metal Masters, Inc. All rights reserved.